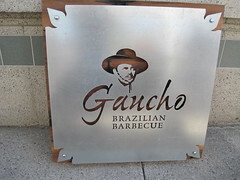 This past summer, while my Mom was visiting, she and I flew to Calgary, and one of the days we went to the Calgary Stampede my brother invited his family, my Mom and I for lunch to Gaucho Brazilian Barbeque (close to McLeod Trail SW). There were many reasons why we all wanted to eat there. 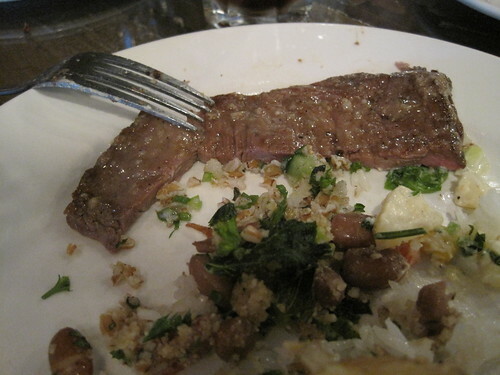 First, we all love eating good meat, and El Rincon Gaucho is an Argentinian restaurant in Mexico that brings lots of good memories to my brother, my Mom and I. So we thought maybe Gaucho would be like that. I have to say that Gaucho didn’t disappoint. It was kind of weird to see everyone having lunch outside, with cowboy/cowgirl hats and all. But it was at the same time, very fun. 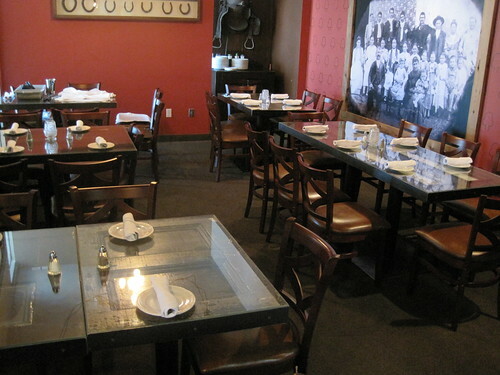 The restaurant is beautiful and spacious in and of itself, and I will definitely recommend the lunch buffet. It’s not extremely pricey, the flavours are great, and more importantly, the service is fantastic. I will come visit again next time I am in Calgary. Funny, I am a long time Calgarian, and just learned of this place from your blog post. I will most definitely have to check it out. Looks awesome.